By the middle of May 1940 it was apparent that the only way left for the British Expeditionary Force was retreat. Men marched for days in the direction of Calais and Dunkirk. Calais fell, Belgium fell, and all that was left was a narrow corridor, maintained by the courageous rearguard fighting of regiments like the Gloucestershires, towards the smoking blaze and hell of Dunkirk’s beaches. Thanks to Operation Dynamo, masterminded by Admiral Bertram Ramsay, over 338,000 men were lifted from those beaches – but over 40,000 were left, dead or prisoners. That means, for approximately one man in every seven, the war was over. It was impossible to remain in ignorance of the anniversary this year. There was television coverage of the flotilla of Little Ships as they made their pilgrimage back to France from Ramsgate. There were programmes, magazines and new books about Dunkirk and how the most terrible defeat managed to turn around into the most heroic of acts which in turn enabled Britain to go on fighting and eventually return in 1944 to conclude the war. For many of the veterans it may be their last acknowledgement of this anniversary, but it has given us a term which has passed into our language and history: the Dunkirk Spirit. This is the ability we have to continue against the most impossible of odds, to show courage, compassion and endurance such as my generation have been fortunate never to have needed. There were special events on both sides of the Channel to mark this 70th anniversary. 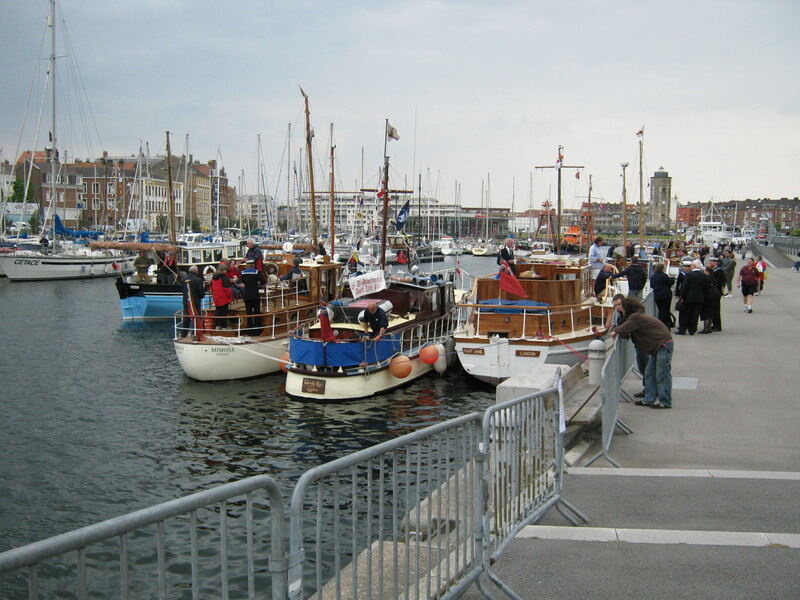 Apart from the crossing of the Little Ships, there were ceremonies in and around Dunkirk and streets were renamed to mark the occasion. 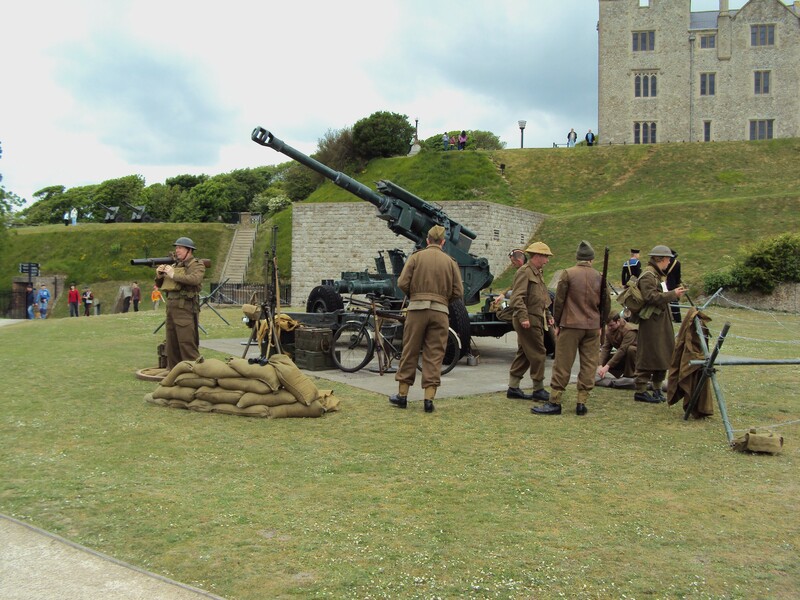 Over in Dover the event was based in and around Dover Castle (in the care of English Heritage). 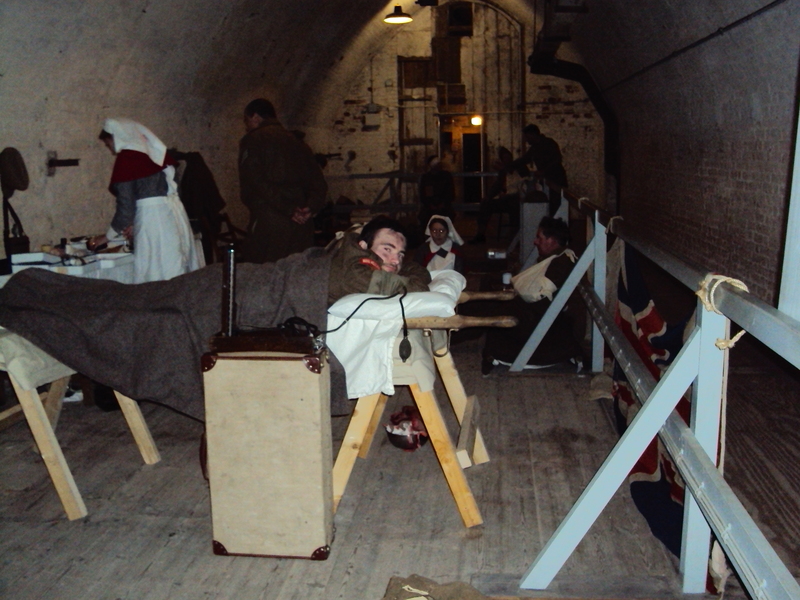 A number of re enactment groups were positioned at various sites around the castle complex, but I was fortunate enough to be among those stationed around Admiral Ramsey’s statue, near the Admiralty lookout and down in the tunnels overlooking France. It was an intense weekend, with thousands of visitors. Many families came with children in order to give them an idea of what life was like when nearly everyone on the street was wearing a uniform of some kind. We were fortunate to meet some veterans, too. One of them summed up his experience by saying, ‘It was discipline that saw us through. We were told to wade out into the water and wait. So we did. And the tide came in and then it went out, and it did that three times and then a boat came and those of us that were still standing got on it. We were still wet through when we got to London.’ The bleakness of his understatement was very humbling; it made no mention of the horrors: the noise, the stench of burning, the horror of the dive bombers and machine gunners, nor of their vulnerability. He just concluded by saying that he had been so lucky. Sunday was surely the highlight of the weekend. Around lunchtime there was the unmistakeable sound of a spitfire engine, and for some twenty minutes those of us able to see down into the harbour were entranced by the display put on by the pilot. A sequence of breathtaking rolls, spirals and low flying with a wingtip almost touching the water left us in no doubt of the Spitfire’s amazing responsiveness and manoeuvreability. It was stunning.